This Ground Breaking on-line ground school takes off with full colour, graphical course subject material that is kept absolutely up to date, with on line 'real time' mock tests and exams in CAA format. 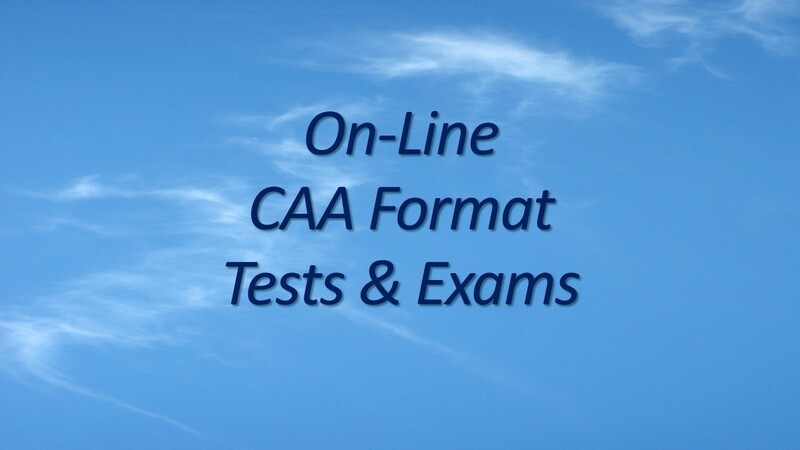 The UK CAA will shortly be introducing on-line testing for the PPL Theoretical Exams. We are the only organisation that offers you constantly updated material, including on-line testing in the same format as the authority will be using. Using this system, Student Pilots automatically gain their 'Certification of Exam Readiness' allowing them to take their official examinations without further fuss or intervention. Incredible value for money - with superb support by an expert instructor/examiner. You won't need to purchase any other study materials if you choose our courses! We provide further on-line resources for each subject - all included in your subscription. We have helped all ages and abilities to gain not only the necessary exam passes, but all the knowledge associated with the subjects. 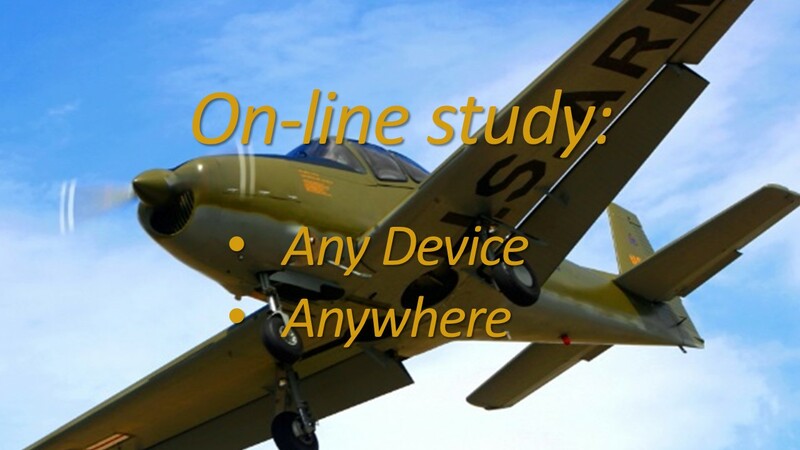 We give you invaluable flying tips and tricks as well to make your study applicable to the real world. 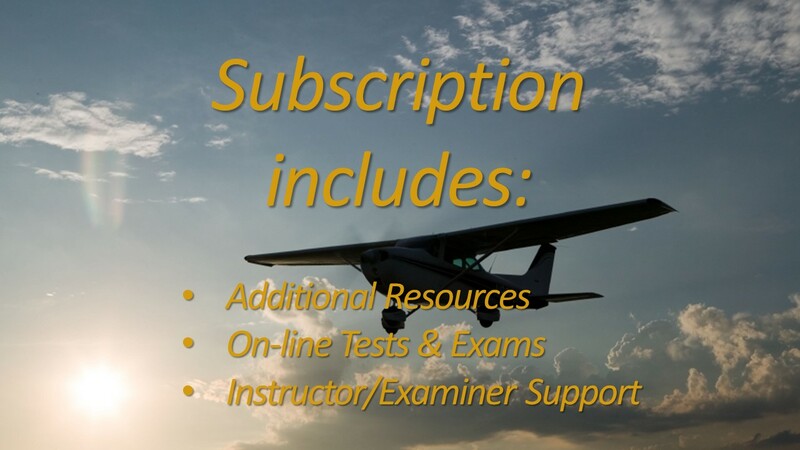 If you want to help someone else on their way to their quest in becoming a pilot, we even offer Ground School Gift Vouchers. Just click this link to find out more. 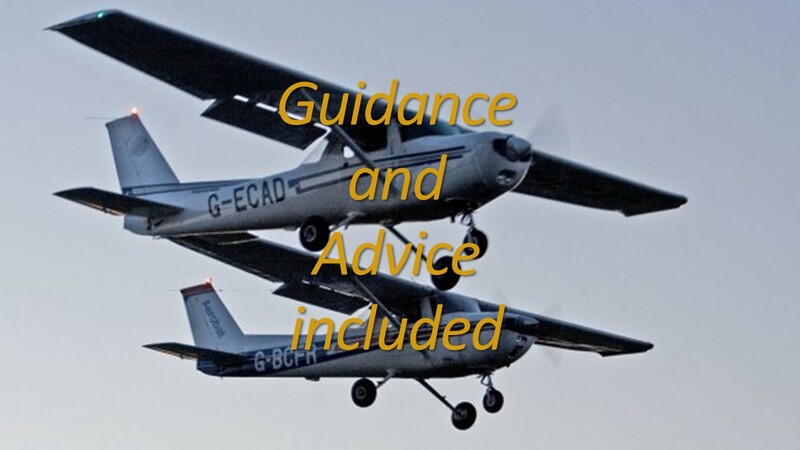 We also offer advanced courses for (amongst other things) the Instrument Rating (Restricted) written exam, as well as some innovative and useful courses such as The Infringement Avoidance Course. You can also Earn FREE COURSES (for Students & Pilots), or COMMISSION (£) (for Instructors & Training Organisations) through our Referral Scheme. We can even integrate our Ground School services into a Training Organisations own web site for brand consistency and commission! For more details, click here. 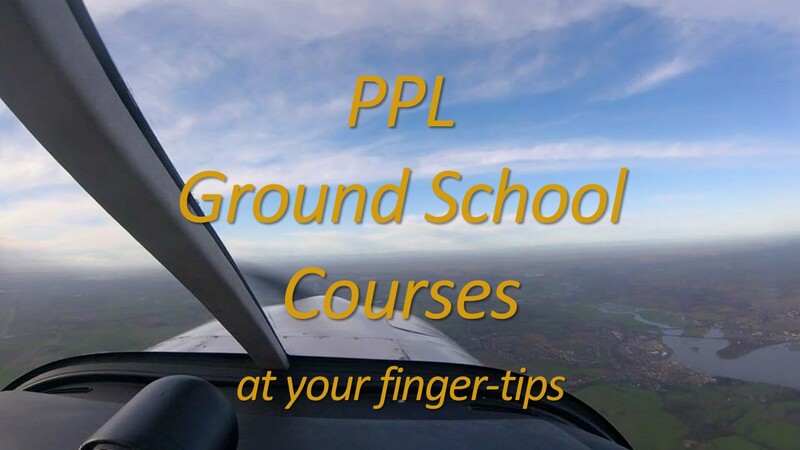 Easy PPL Ground School have over 30 years of experience - right in the area that you require. As a Private Pilot, as a Flying Instructor, and as a Flight and Ground Examiner, we have all the necessary knowledge and expertise not just to teach you, but to make sure that teaching is easy to understand. Most importantly, we also make that teaching practical and relevant to both your flying training and the exams you need to pass. You can get in touch with us in all sorts of ways; email, social media, or for that personal touch - by phone. 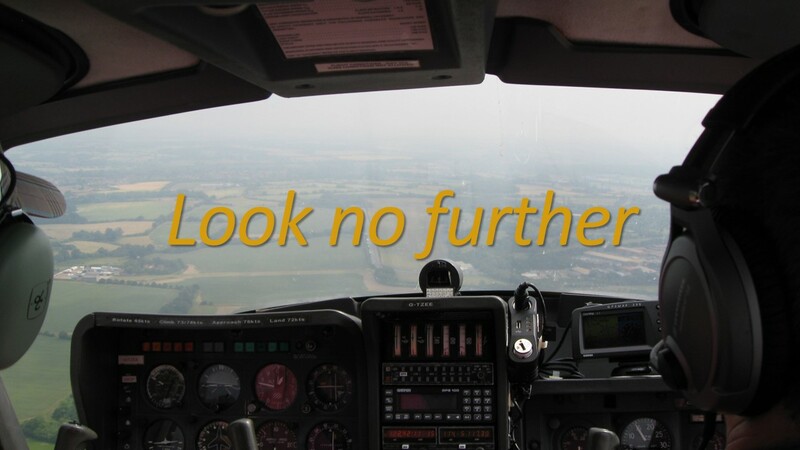 We provide courses for all the subjects required for the EASA Private Pilots Licence (PPL), Light Aircraft Private Pilots Licence (LAPL), and the UK National Private Pilots Licence (NPPL), plus the IMC-IR(R). Our material is unique - more pictures than words. We offer on-line courses, and the resources you will have at your disposal are second to none. We provide you with progress checking throughout each subject, plus mock exams that truly resemble the real thing! Help at any time is included via "Ask an Instructor", and, if you're still having difficulty, we'll give you a call and chat about it over the phone! We're also more than happy to offer you alternatives to on-line study if that suits you better! You really won't find a more dedicated organisation that has a real interest in you, the person, becoming you, the pilot! We realise that all of the theory, all of the exams, and the myriad of written and on-line material at your disposal can lead to confusion. So, let us cut through that jungle. We know what works and what doesn't when it comes to which subjects to choose first. We know the best way to plan - what studies to do in parallel, and what exams to take together to meet all of the legal requirements. Our guidance gives you all the information to make sure you get what's right for you, from individual courses through to "everything". 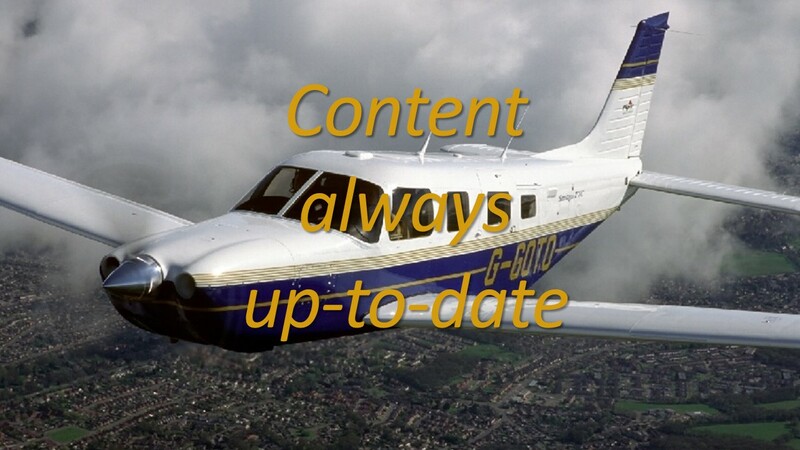 And, of course, since we instruct in flying training as well, we know the flying syllabus inside out, and so can advise you on what material to study at the relevant points in your flying training. That ensures you also get the best value for money at your flying school!